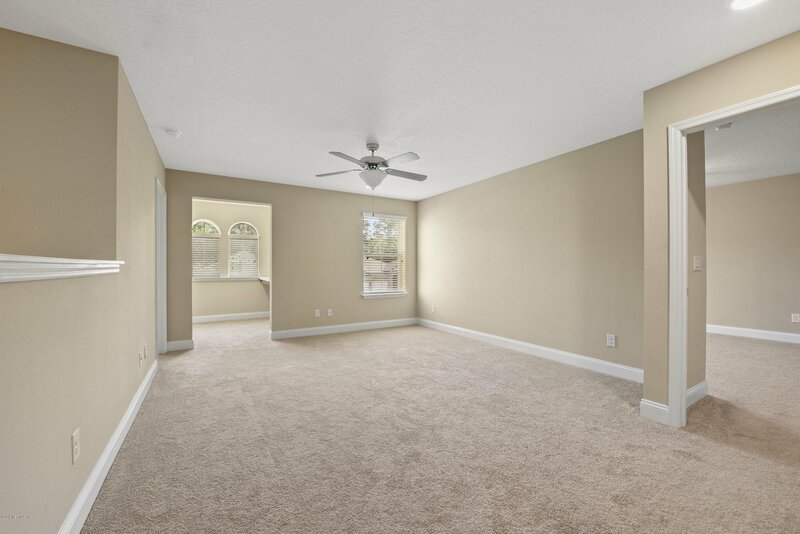 Accepting back up offers. 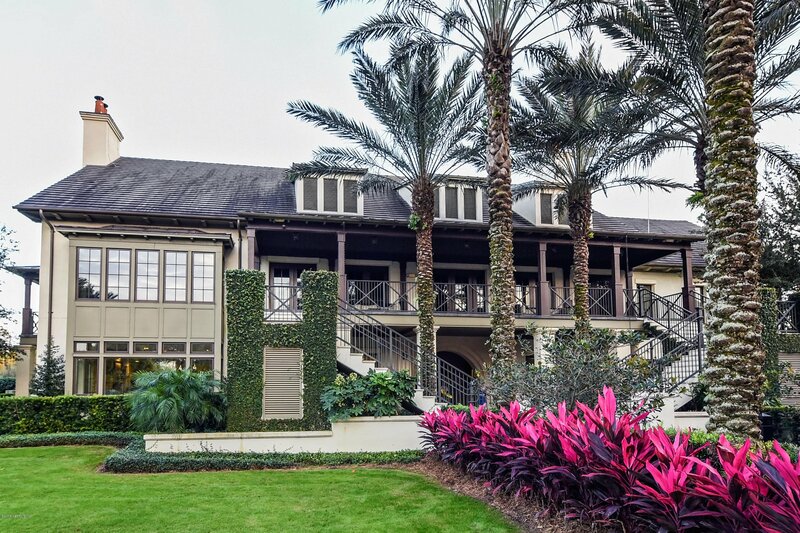 This pristine two-story Mediterranean-styled home is located on a beautiful lake with spectacular views in the lovely community of cypress Trails. 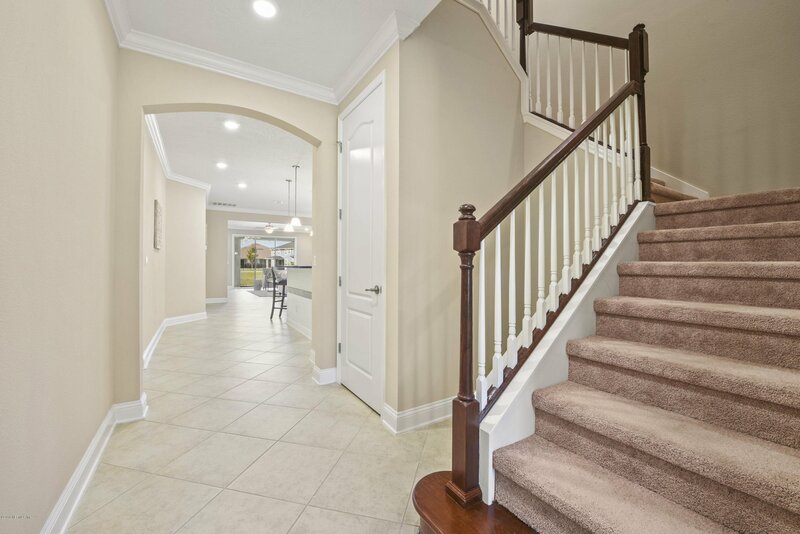 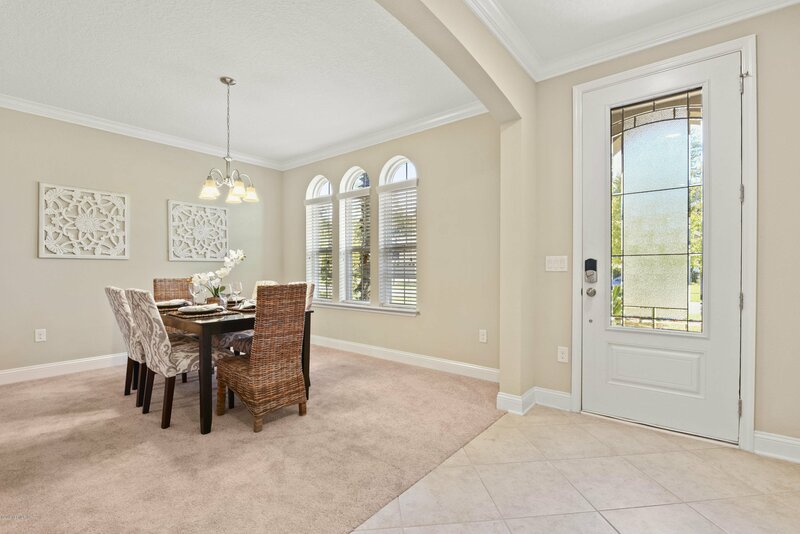 Through the covered entry way, you are welcomed by high ceilings, immaculate tile floors and plenty of natural light. 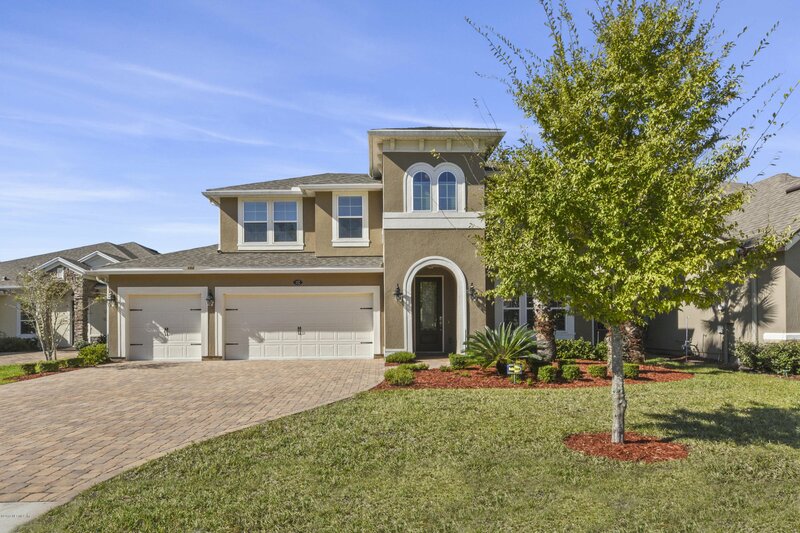 This 5 Bedroom, 4 Bathroom home has an open, split floor plan with space for everyone. 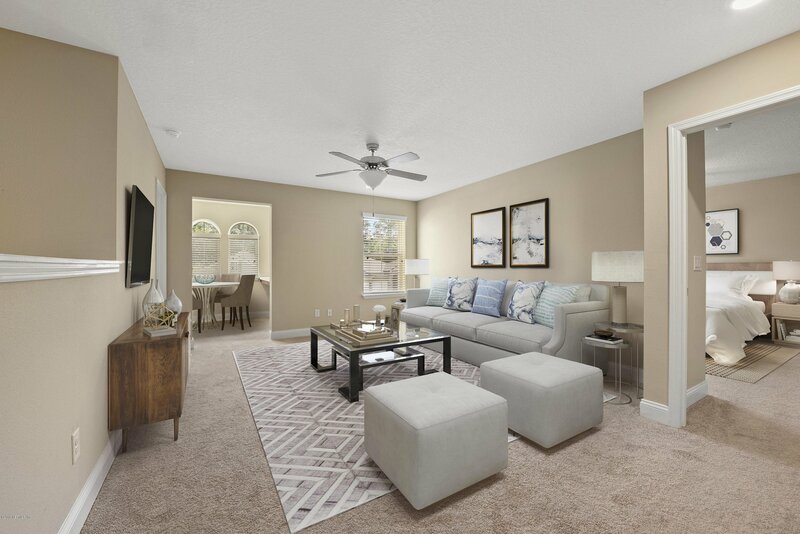 The first floor features formal and causal dining areas and an open living room. 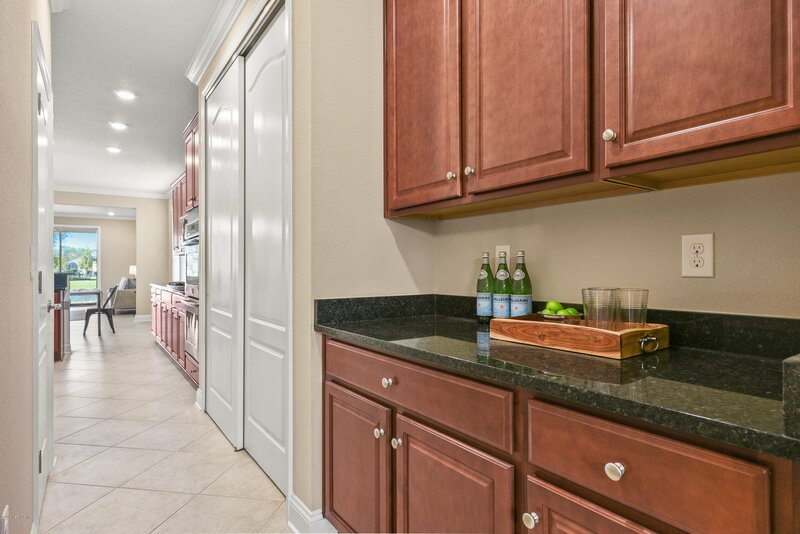 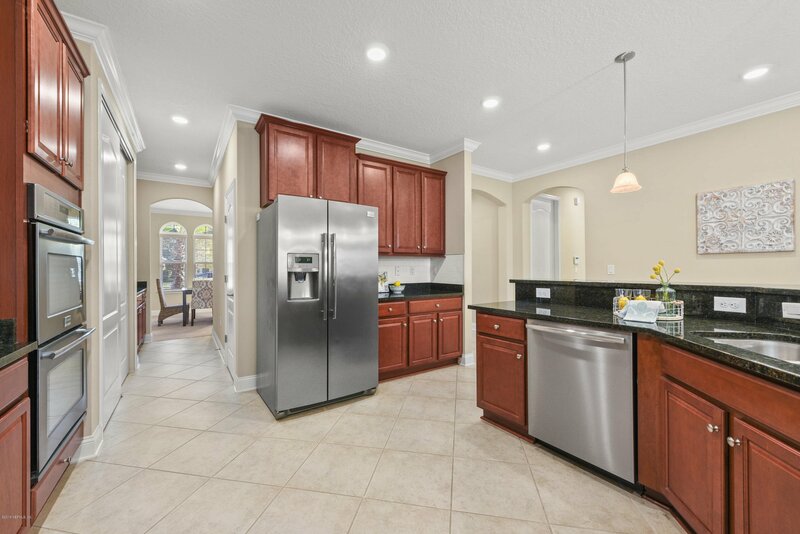 The chef's kitchen with granite counter-tops, 5-burner gas range, stainless steel appliances, double oven, butler's pantry, and lots of storage space is impressive. 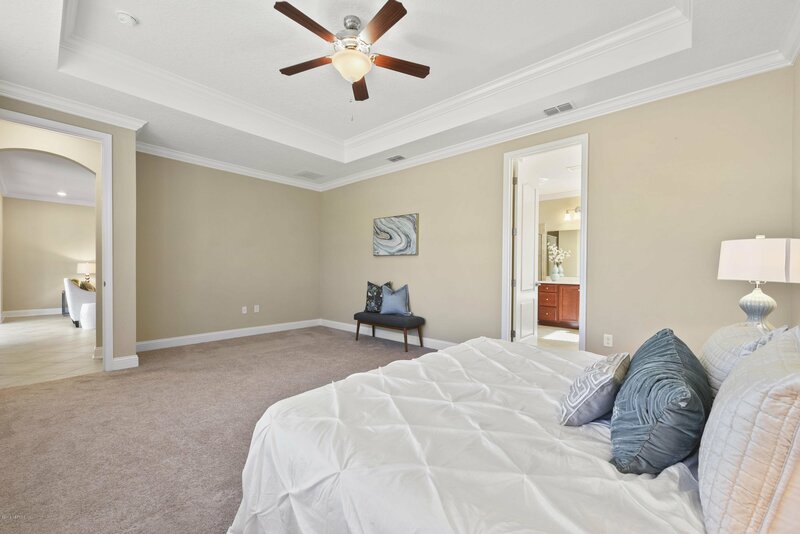 Also downstairs- a private guest bedroom with bathroom and the master bedroom suite which overlooks a tranquil lake. 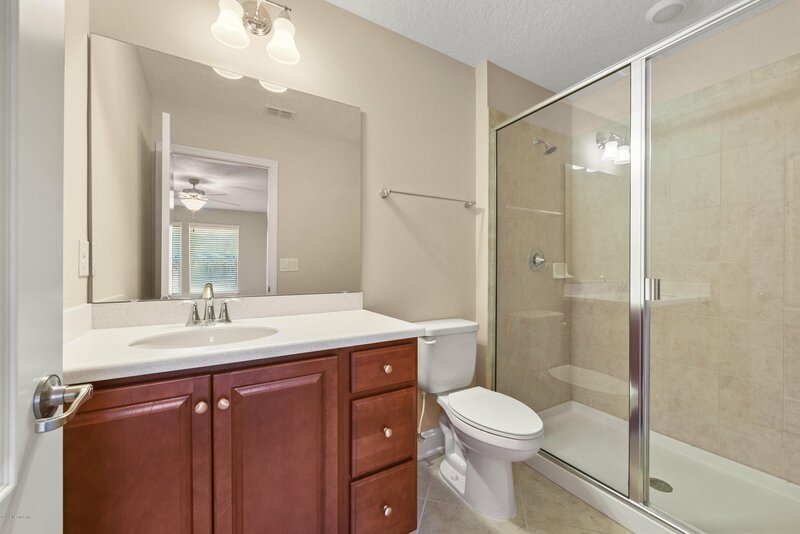 See more.... 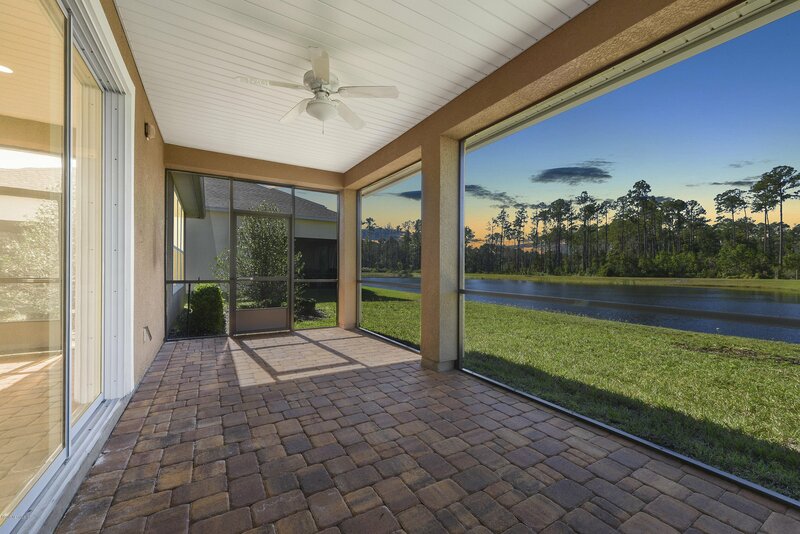 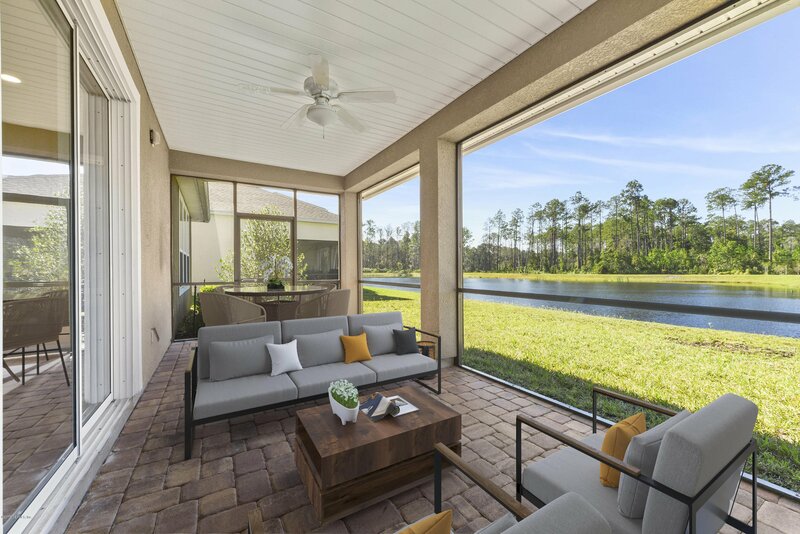 The extended screened-in and paved lanai is Florida living at it's finest and the slide stacking glass doors create an ambience for in-door/outdoor living. 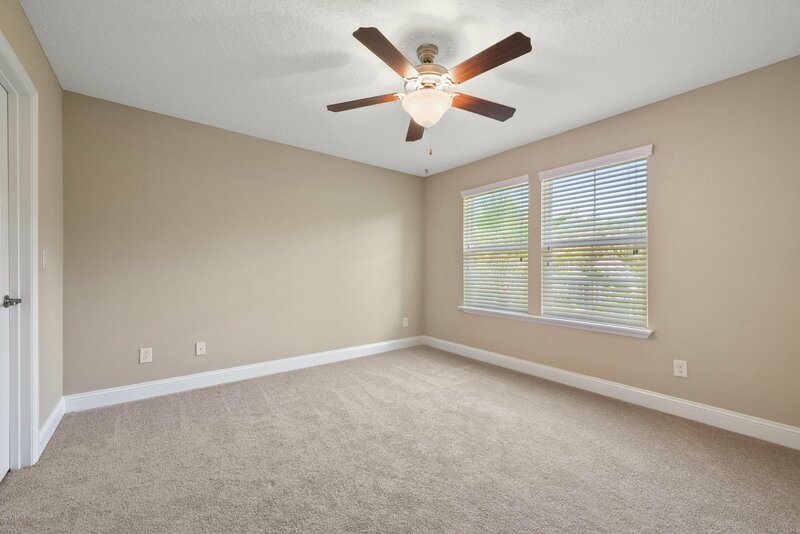 The second floor features a spacious flex areaâ”perfect for an office, home gym, lounge, game room or nurseryâ”three sizeable bedrooms, and two bathrooms. 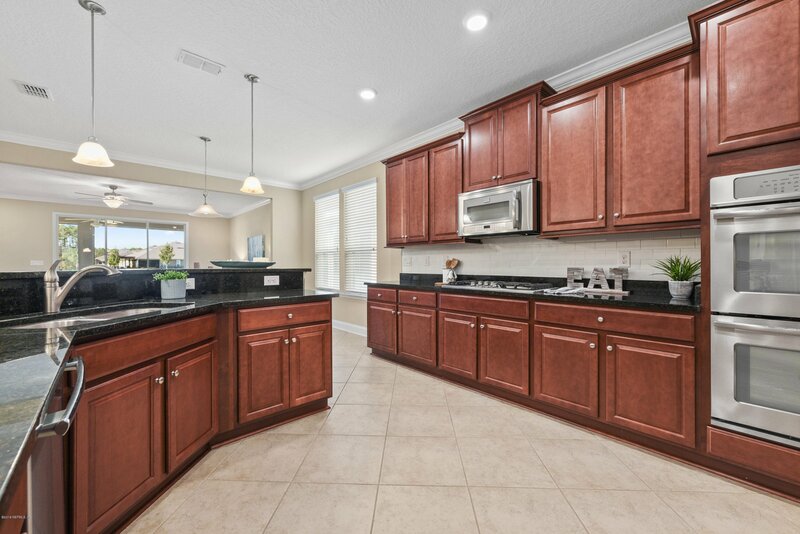 This home is perfect for entertaining, enjoying family & friends, or quiet living. 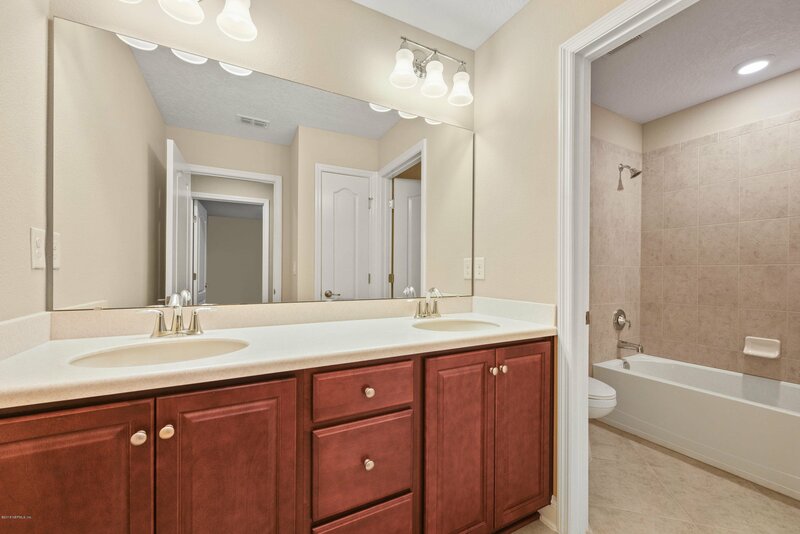 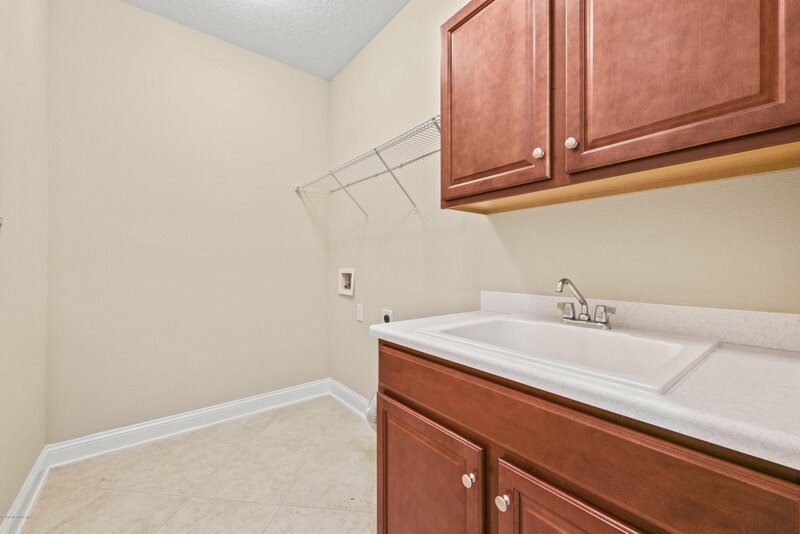 The tankless water heater, 3 - car garage with epoxy floors, and low HOA fees ($360/year) are an added bonus. 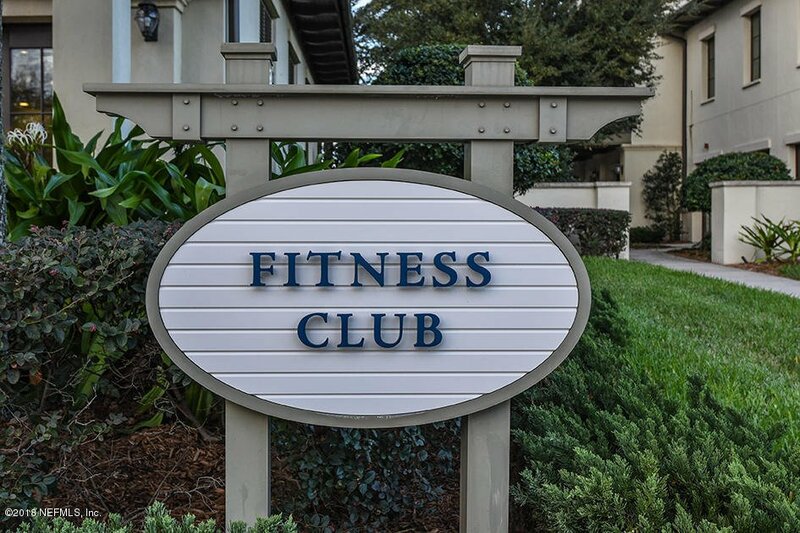 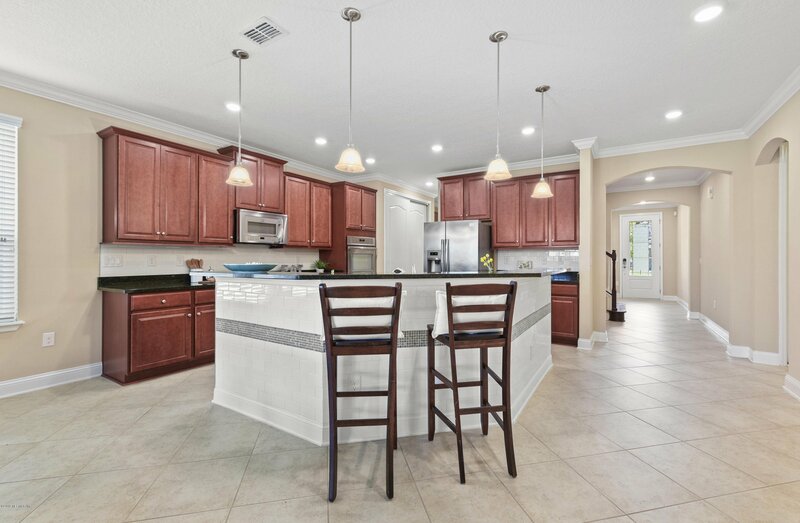 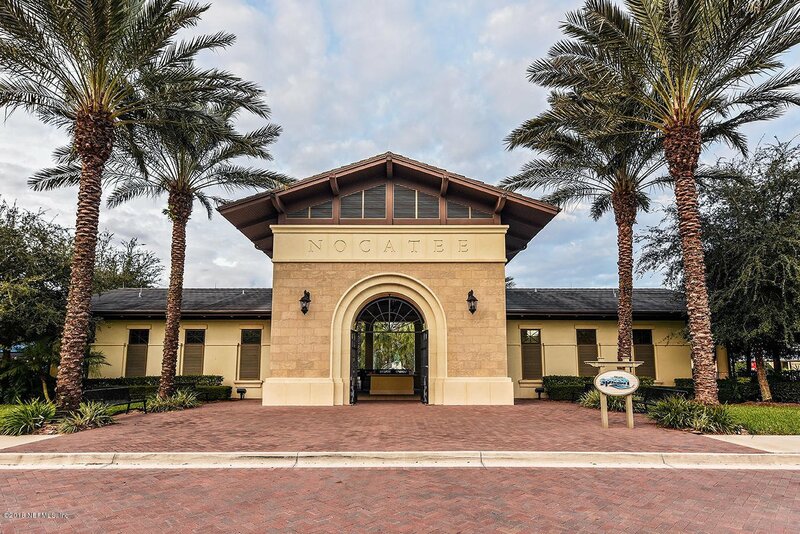 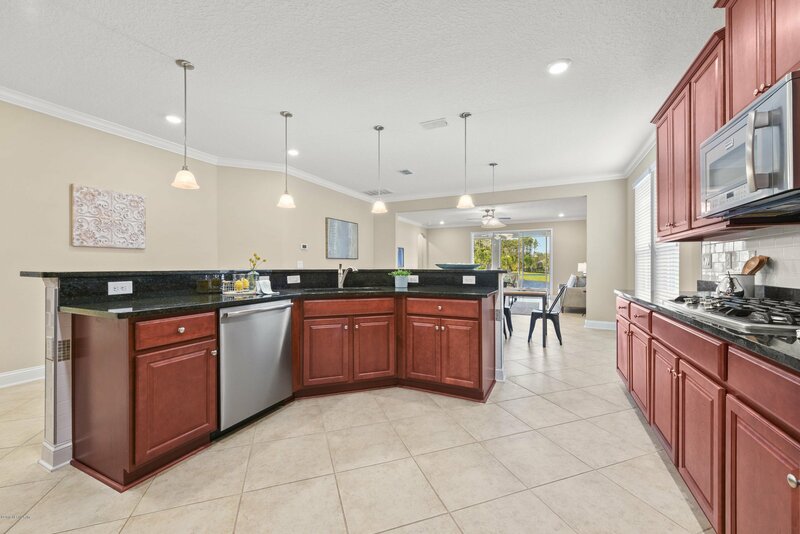 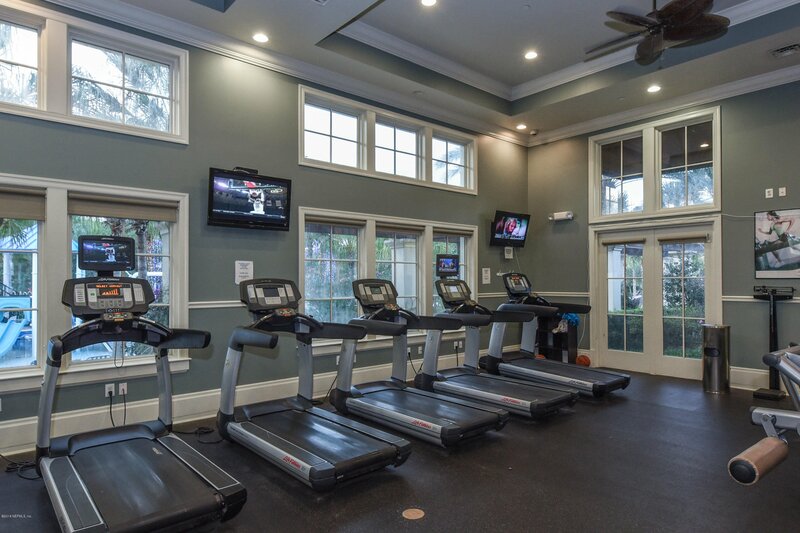 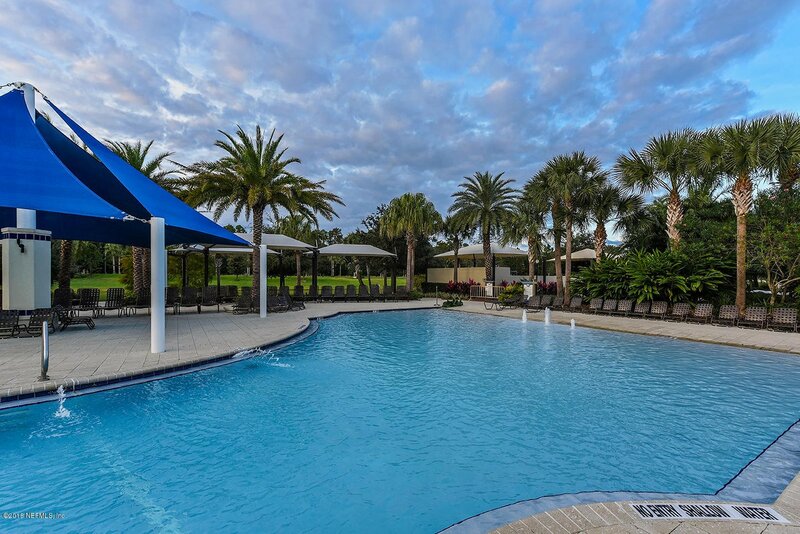 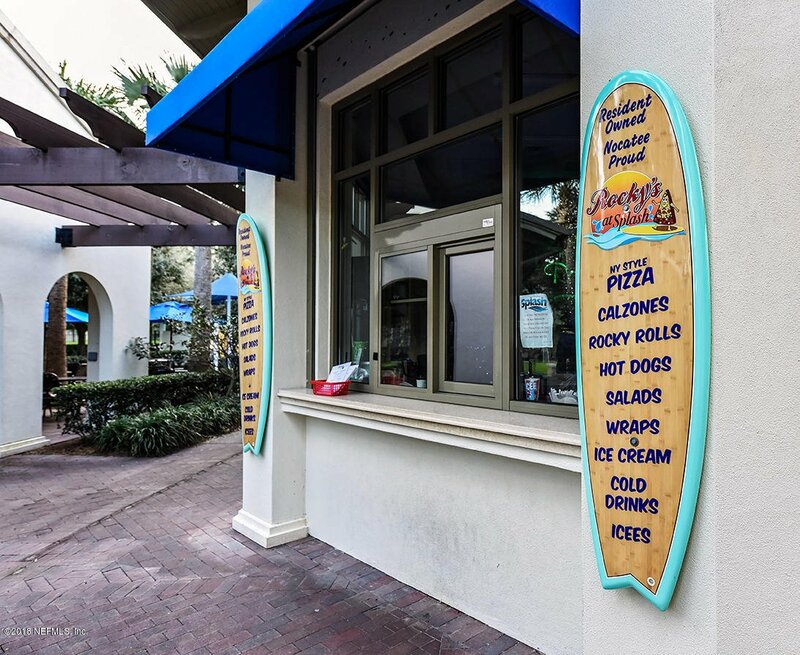 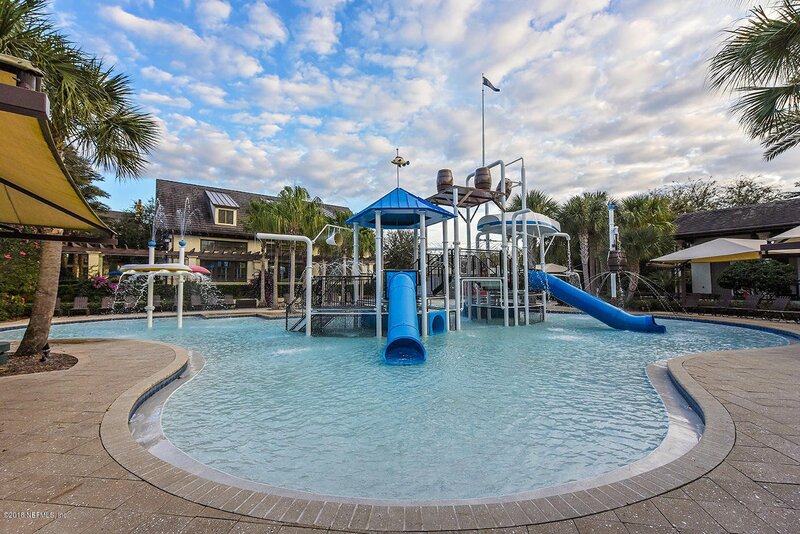 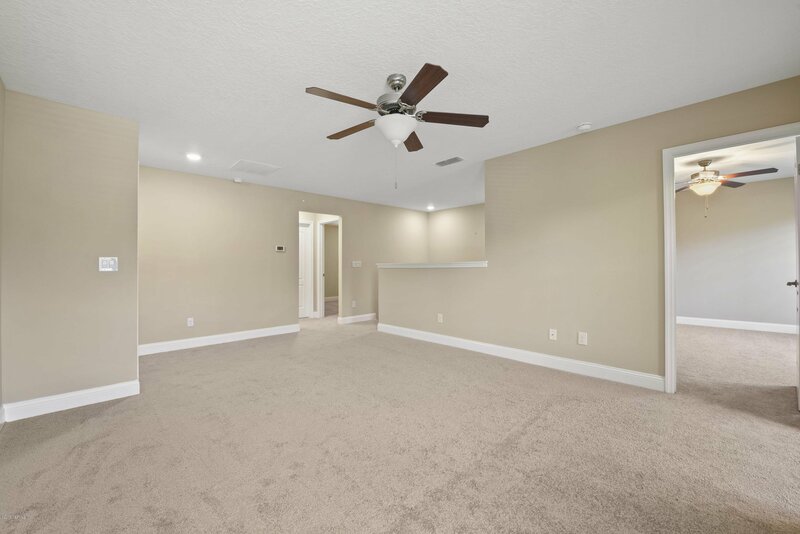 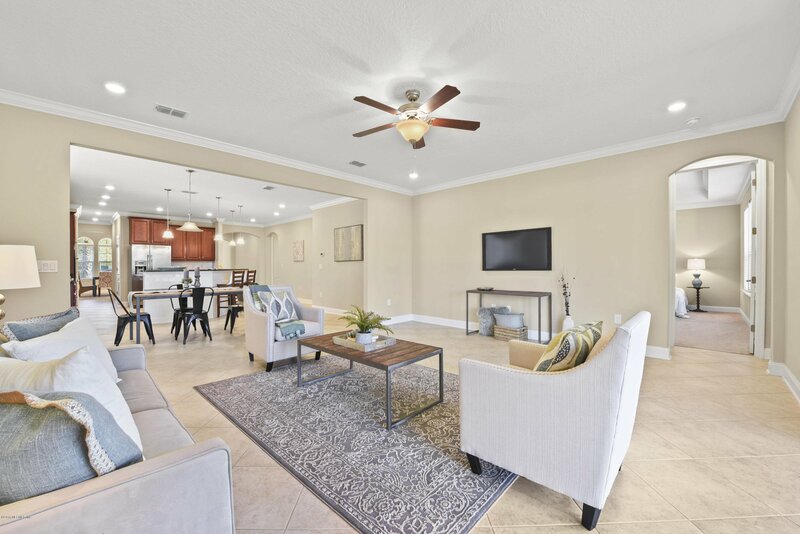 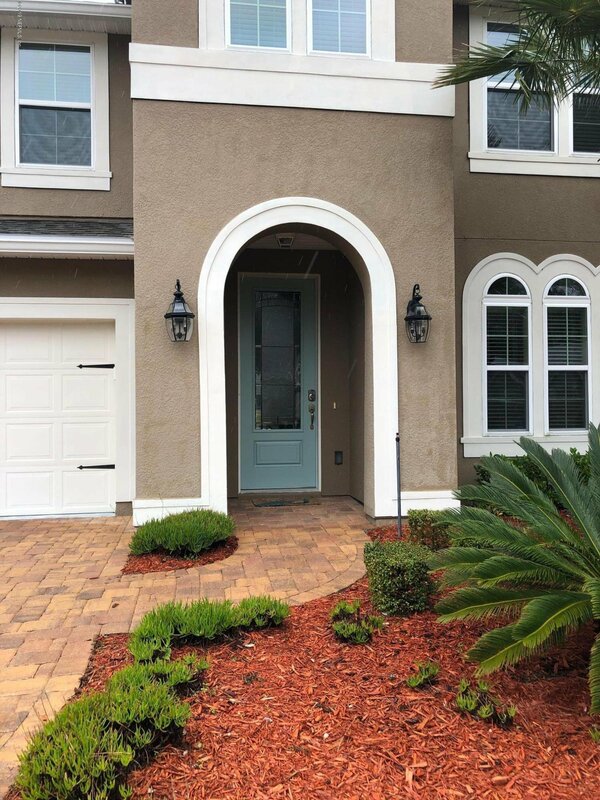 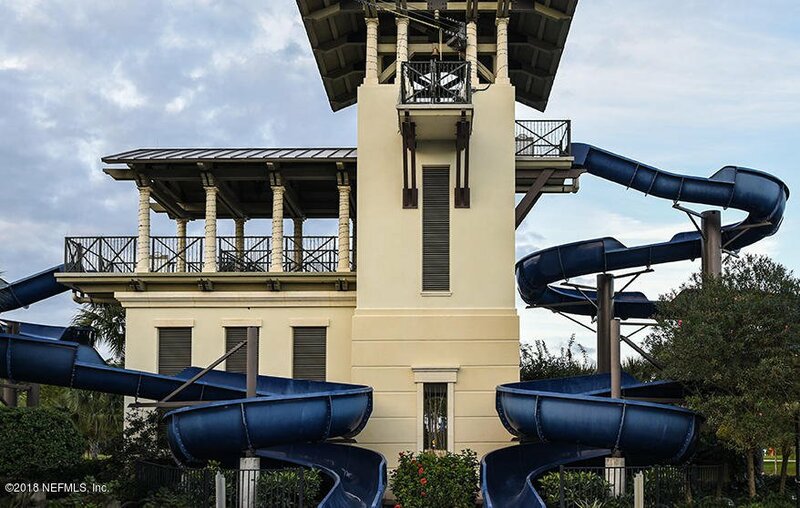 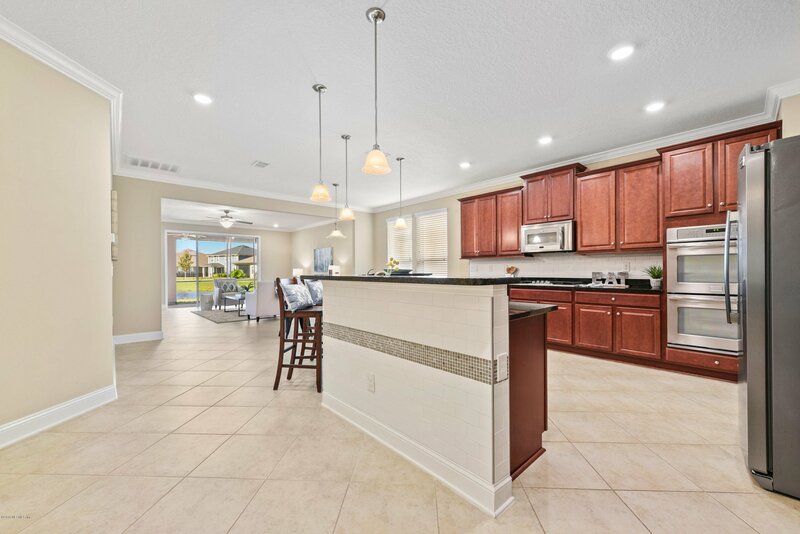 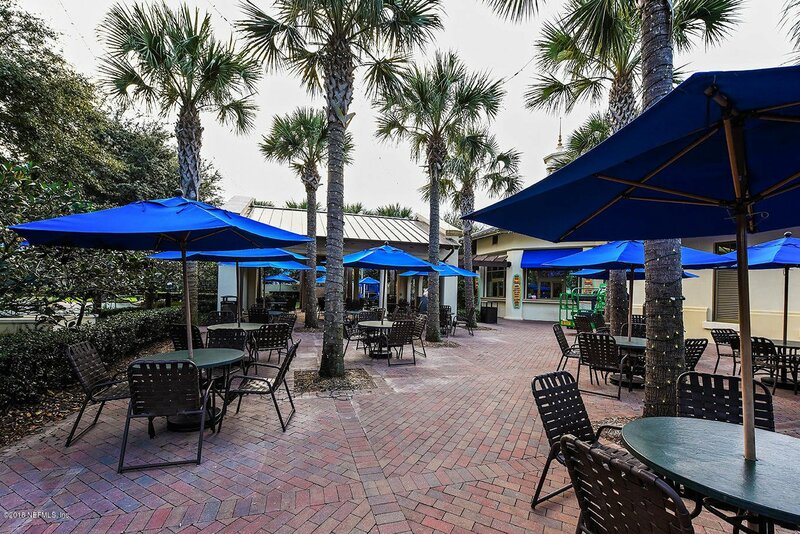 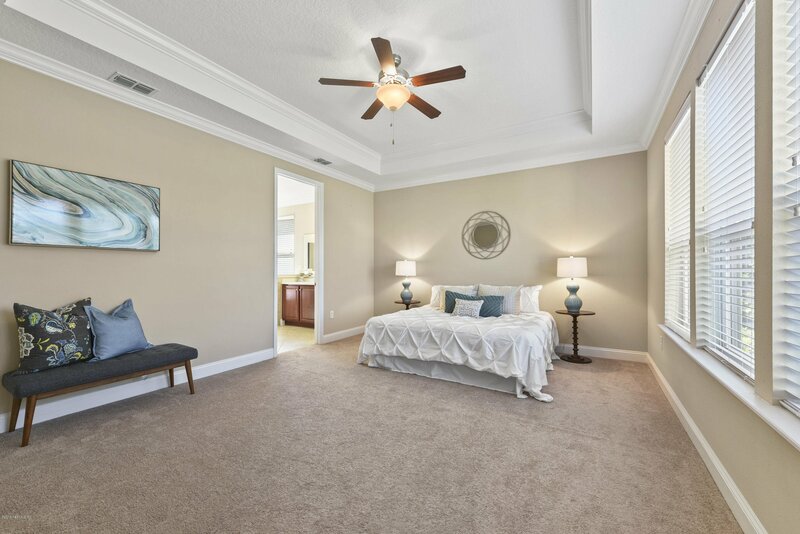 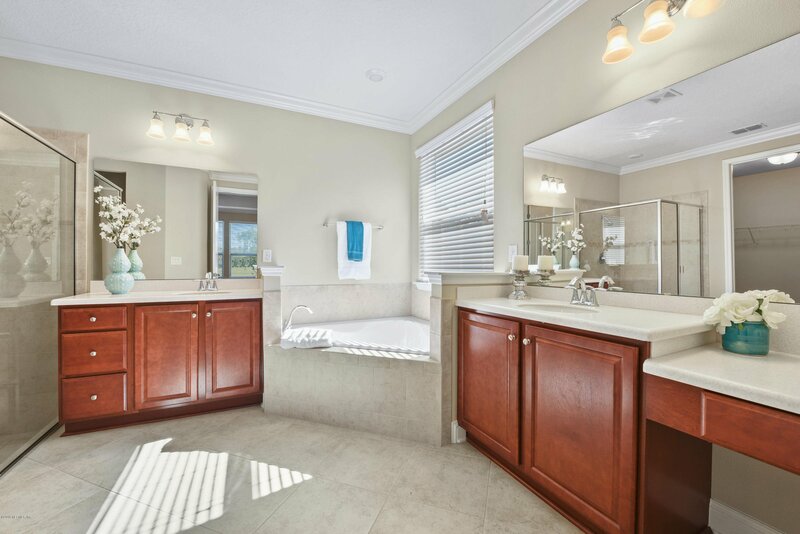 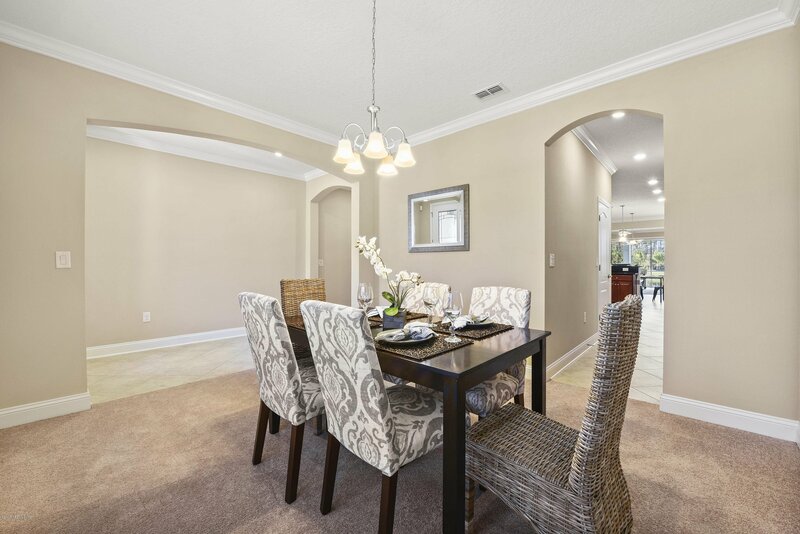 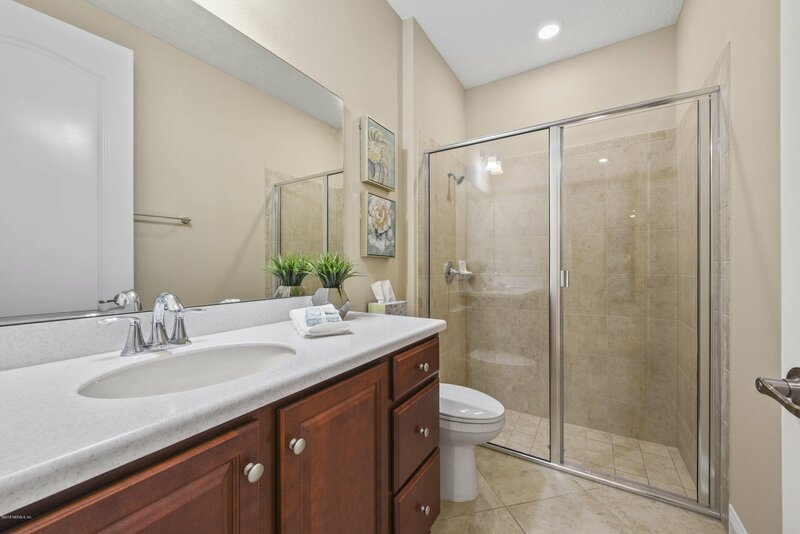 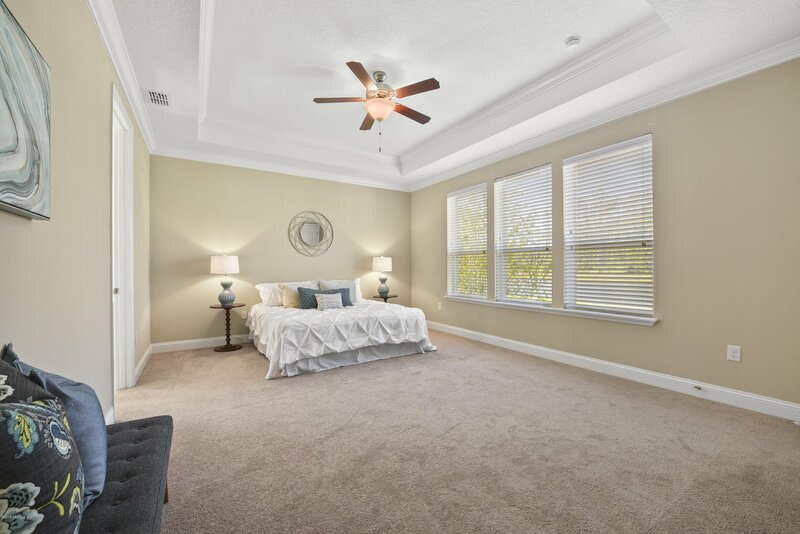 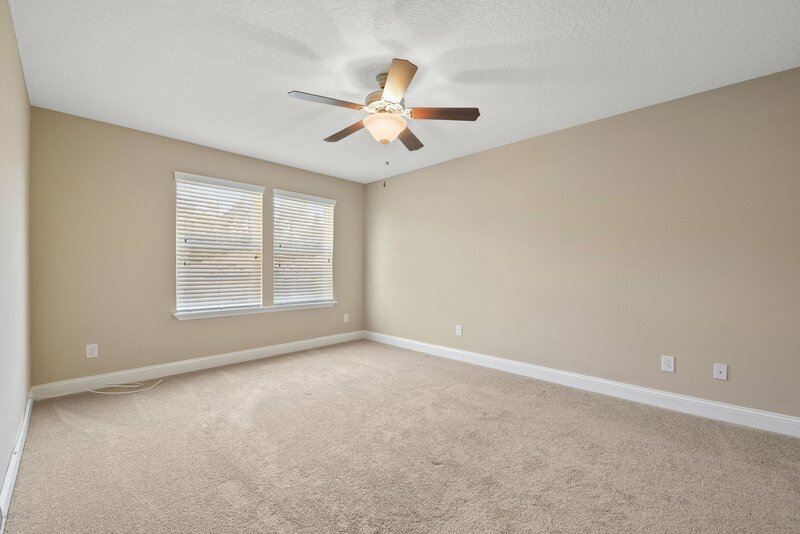 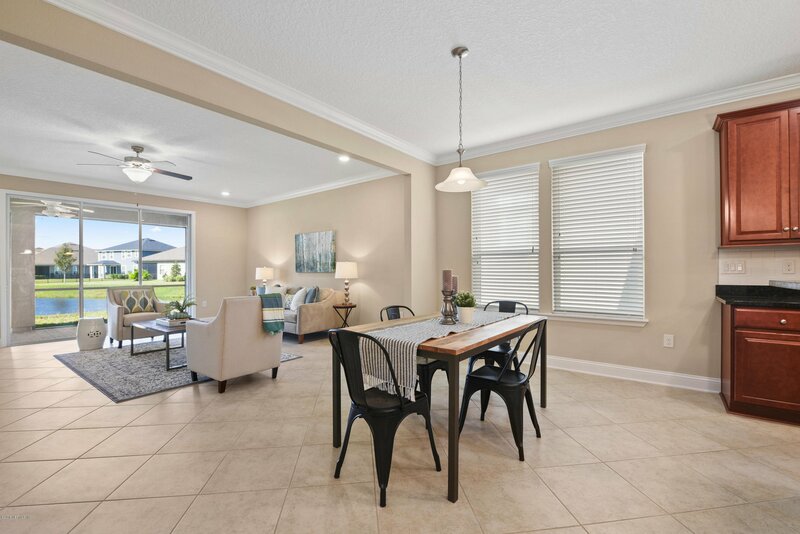 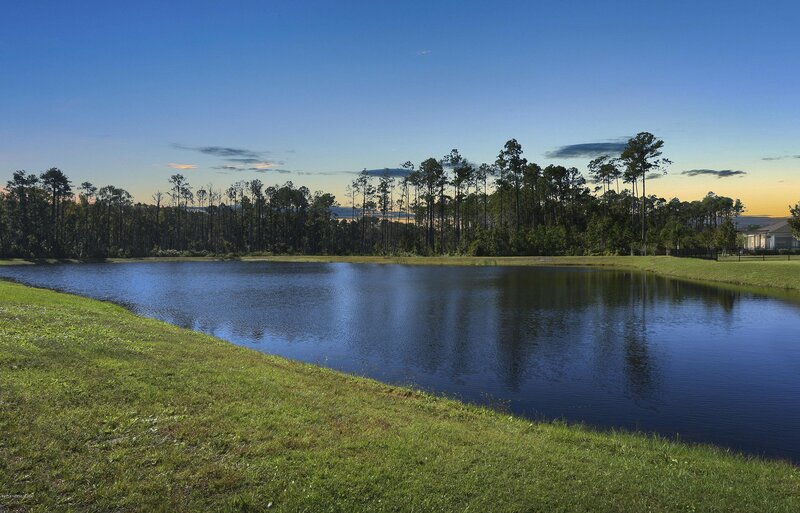 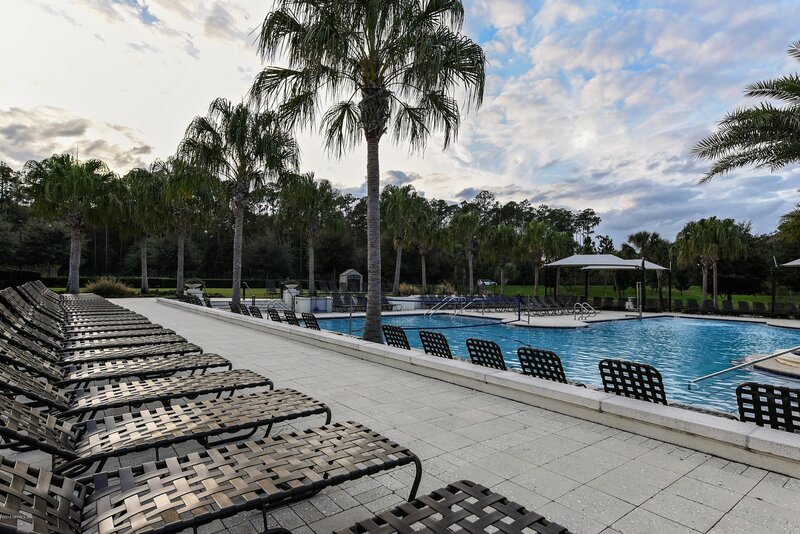 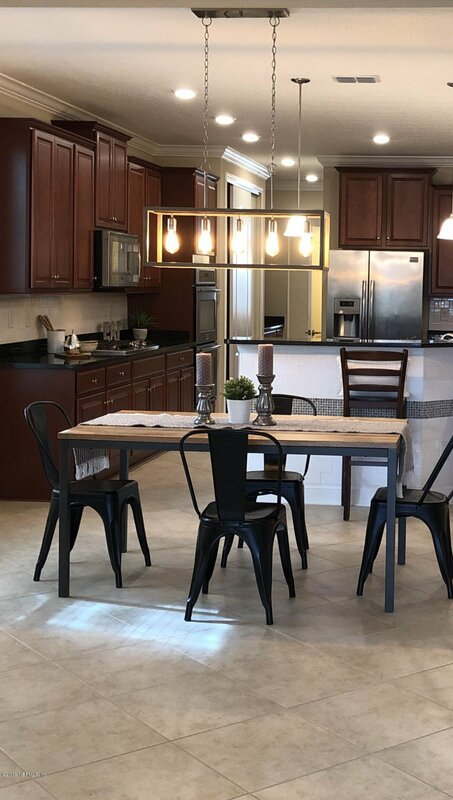 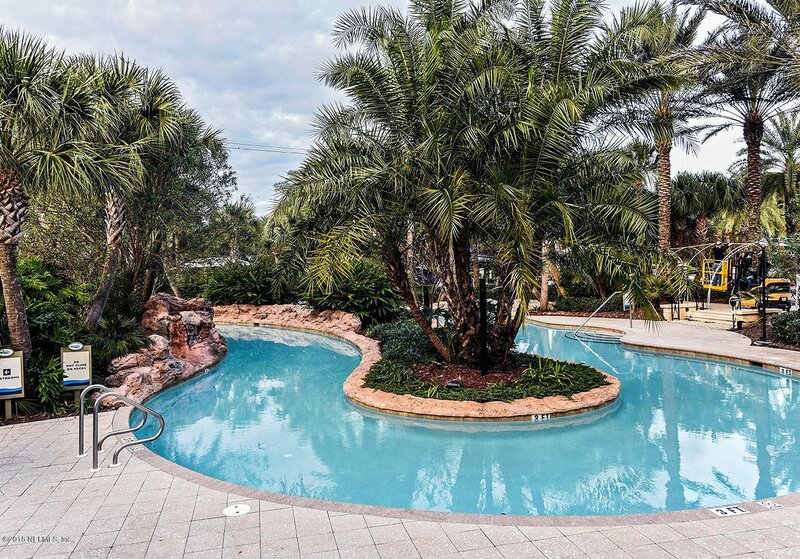 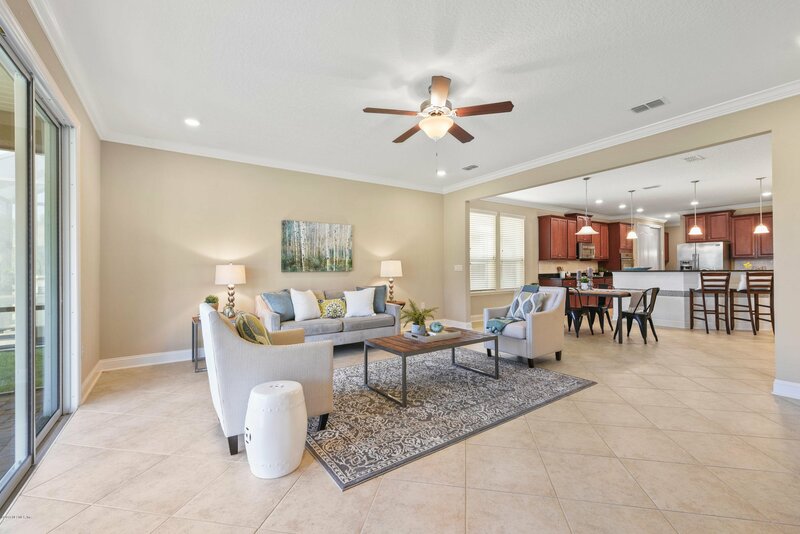 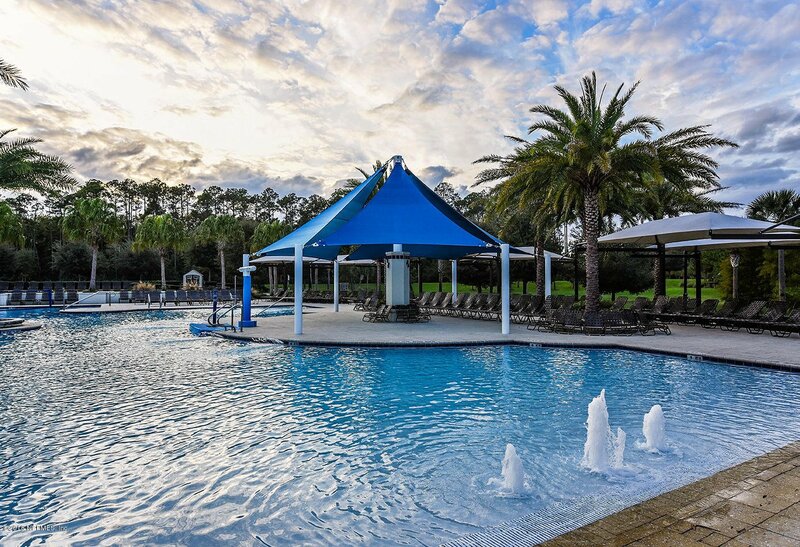 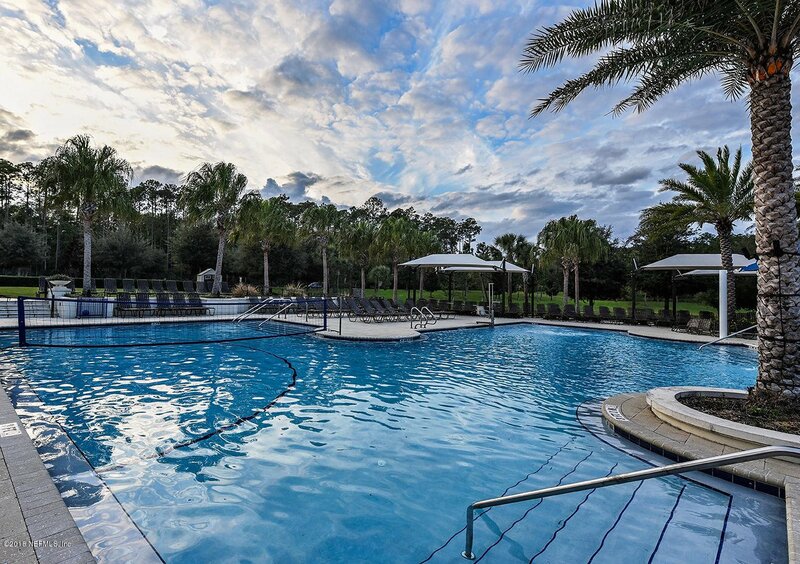 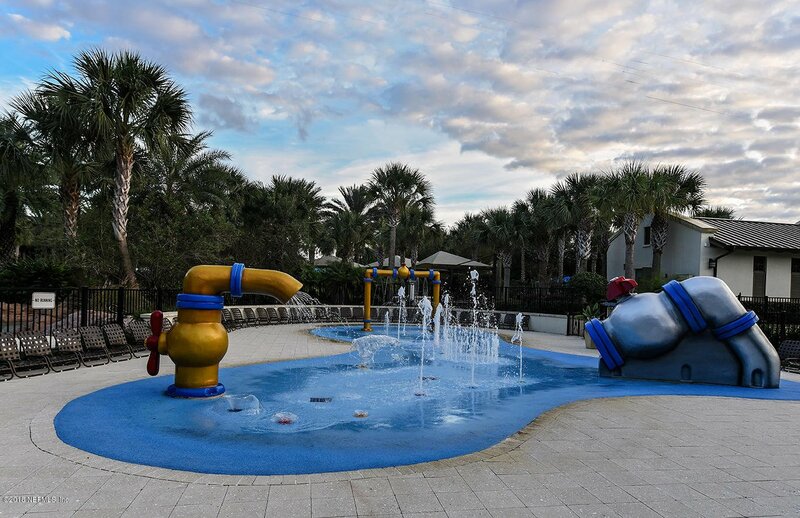 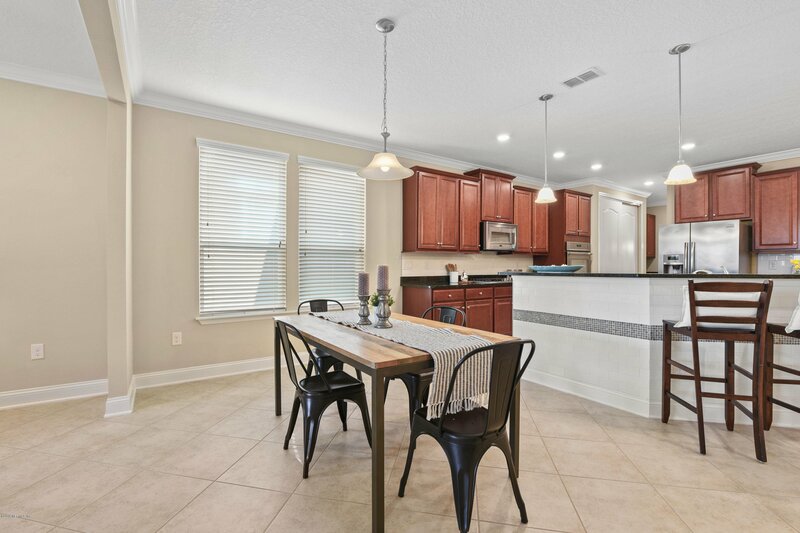 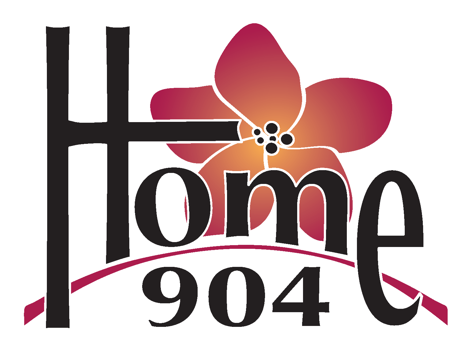 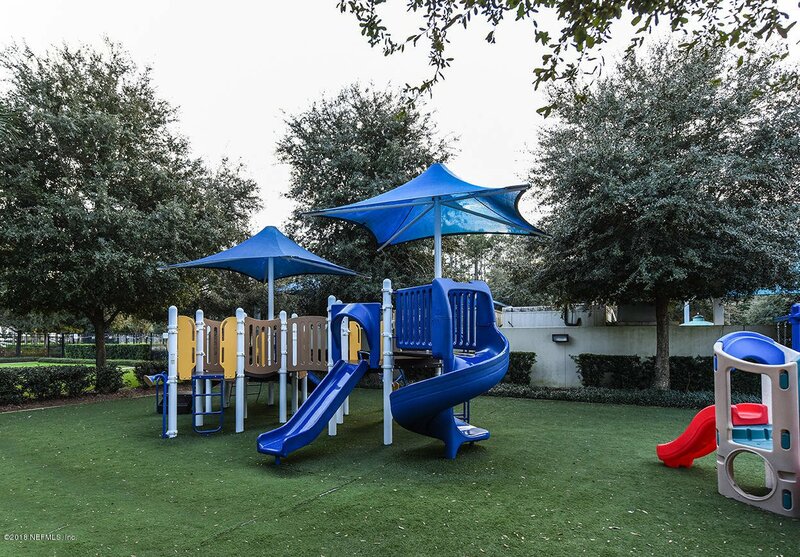 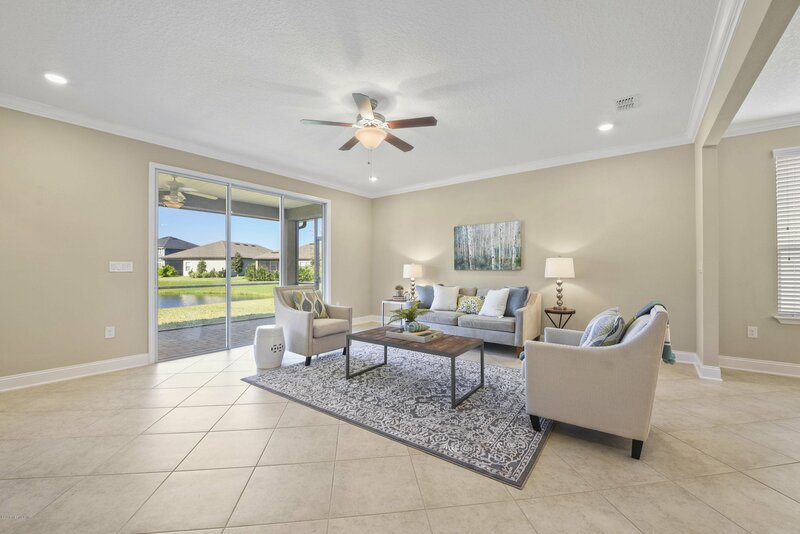 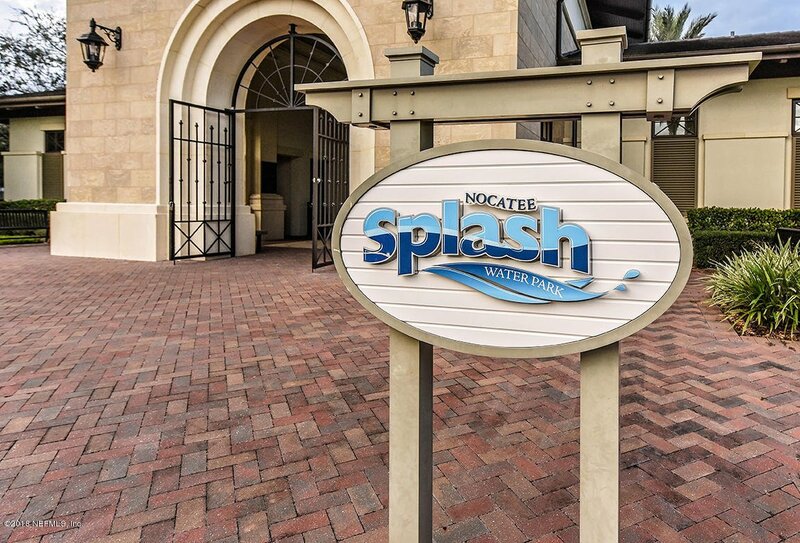 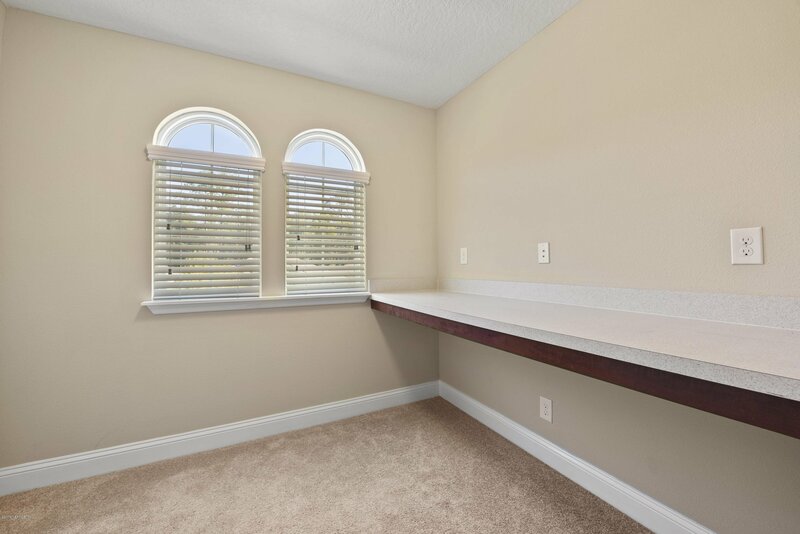 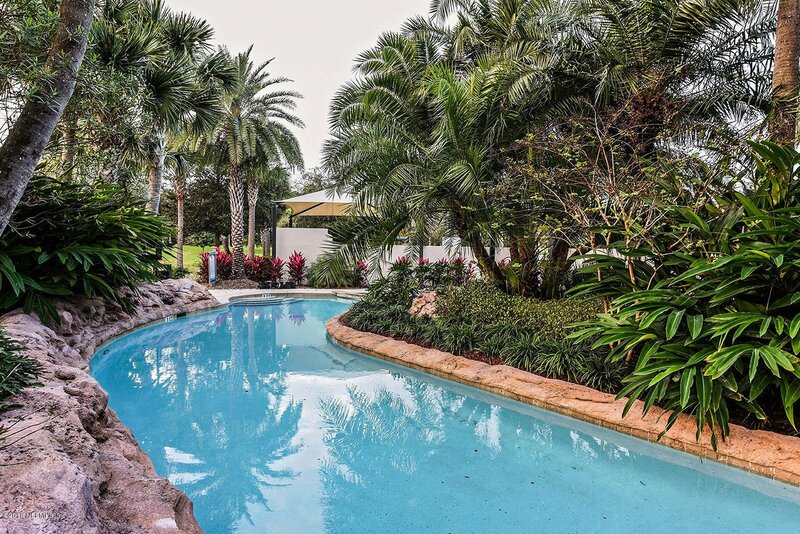 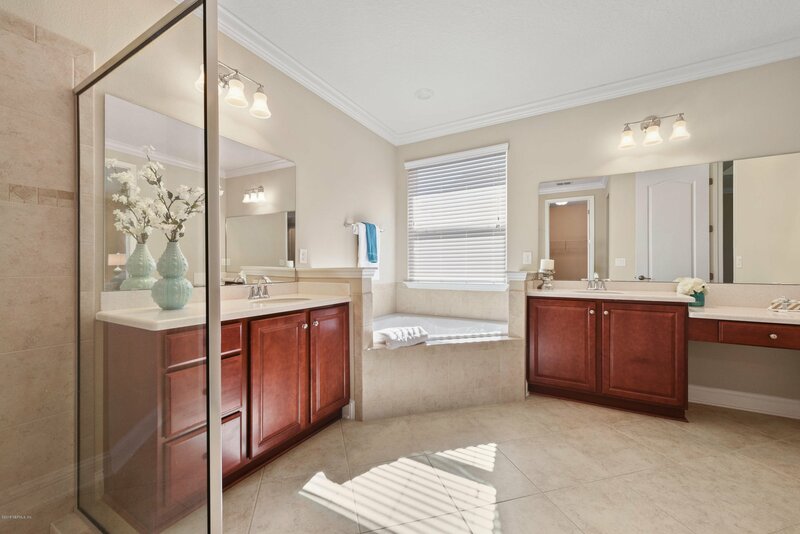 Enjoy all of the wonderful Nocatee amenities, such as shallow-entry family pool, sports playfield, dog park, and club house, in a community convenient to US1, St. Augustine, and Beaches.